A Smart Contract is a computer program that self-executes contracts established between two or more parties. The fact that the contract is self-executing means that certain actions occur as a result of the fulfilment of a series of specific conditions, which have been agreed upon in said contract. That is, when a previously established condition occurs, the smart contract automatically detects and carries out the corresponding clause. The technology behind Smart Contracts is the already popular Blockchain technology. To understand well how a Smart Contract works, it is better to start by explaining what Blockchain is and how it works. This question is currently being repeated a lot - What is Blockchain? - and the answer is usually associated with cryptocurrencies, since Bitcoin was the first application that was made with Blockchain technology: cryptocurrency or virtual money. But really the potential of Blockchain goes much further, and both private companies and public administrations are beginning to explore how the block chain can transform their operational foundations, from executing contracts to carrying out transactions with customers and suppliers. The agility and security when managing the identity of the actors in the network, to track the assets exchanged and the ease with which the control and verification of the contracts can be carried out, makes us expect that its use will be generalized short-term. Blockchain is a public record of transactions that does not need to be verified by any central authority (bank) since it is based on a distributed and free network of intermediaries, thanks to the use of cryptographic algorithms. It would be like a company's accounting record books in which all the entries and exits of money are recorded, although in this case we are talking about a digital book that does not require a centralized intermediary that identifies and certifies the information that is recorded. This blockchain consists of three fundamental components: transactions, records, and a system that verifies these transactions and stores them in the blocks. Each block is a complex mathematical problem based on cryptographic technology called hash (or hash function). The problem is what all the nodes (computers) in a network try to solve in order to confirm the transactions it contains and link it to the previous block. Given that each block has a hash attached to the previous block, the information in the blockchain is easily verifiable and impossible to eliminate. and all blocks placed from the invalid block will be invalid as well. When the data is recorded in a block, it cannot be edited retroactively, which means that no one has control over its history. This is the most important feature, and it means that no one can change the information that has already been verified and consolidated in a chain. This makes the blockchain a public book that cannot be easily manipulated, giving it a layer of protection that does not exist in the cases of centralized databases, which is how the world has worked until now. 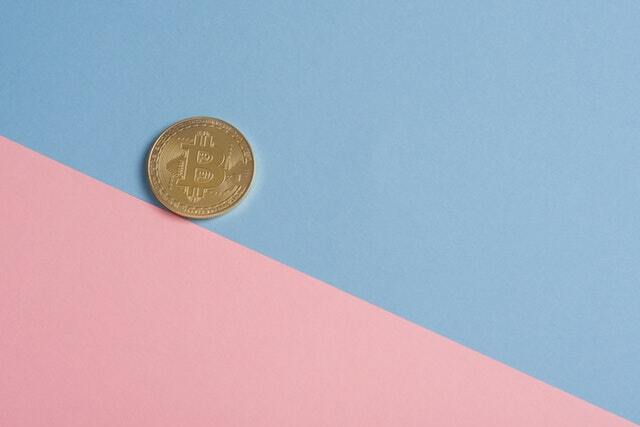 As records are created and added to a block, they are confirmed and validated through a distributed computer network..
To explain how Blockchain works, we will use as an example the transfer of value, which would be framed within the first application developed with Blockchain technology: virtual money. But keep in mind that this technology is used to record all types of transactions. Suppose that A wants to transfer a certain number of units of value to B and that both have access to a system that allows them to send or receive the currency. When A decides to send the currency, what it is really doing is initiating a change instruction to the database, notifying it that that part of its capital now belongs to B. These instructions are disseminated in the network, and it is responsible for verifying that A has such resources to send. If everything is correct, this transaction is grouped with other transactions in a block which also includes information about the specific time at which each transaction occurs. This block mixes the information of the addresses of the parties involved in each transaction, the number of units of value in movement and a timestamp, and then processes them through the hash function. This function is a cryptographic algorithm that is responsible for condensing information of any extension into a single digit of 64 letters and numbers. This hash is combined with the previous block's hash-solution and becomes the header of the new block that is in validation. In turn, this new block is a mathematical problem whose result is identified, as if it were a "registration," by the hash function. This answer or solution to the puzzle is offered by the network in a trial and error process called "proof of work". There are other validation processes, such as "proof of stake" or "proof of authority." After the solution has been approved by the majority of the network, the block is added to the chain with all the transactions contained in it, including the payment from A to B. In short, the blockchain establishes trust between two parties in a transaction through a decentralized public accounting book and a cryptographic mechanism that guarantees that transactions cannot be changed after they have materialized. After understanding how blockchain technology works, it is easier to approach Smart Contracts since they exist thanks to the infrastructure provided by the blockchain. Let's give a practical example of a Smart Contract with a soft drink vending machine. A vending machine is programmed so that when you enter the money and press a combination of numbers, you automatically obtain the selected product. A smart contract would work the same way. If an agreement is made (insert the money), then a condition is occurring (the refreshment is obtained). It seems simple but what's new here? In this example, the true value provided by Smart Contracts would be that "if the product '032' runs out, the machine would autonomously and automatically send a signal to the supplier to replace the sold-out sodas. This eliminates the intermediary that must monitor the machine, calling the suppliers and replenishing itself, eliminating time and money expenses in that process and further simplifying the task. In other words, Smart Contracts seek to improve current contracts by being safer and cheaper, saving us time and avoiding fraud. The great contribution of smart contracts is that there is no need for a third party to verify whether the events have happened or not. These contracts are always between one or more individuals or legal entities, but do not have any third parties as intermediaries. There is no need for anyone to validate the contract, such as a lawyer. Therefore, they reduce, and may even eliminate, the intervention of anyone who is not involved in the contract. Because they are contracts that do not depend on a third party, costs are reduced. Less human intervention results in reduced costs. 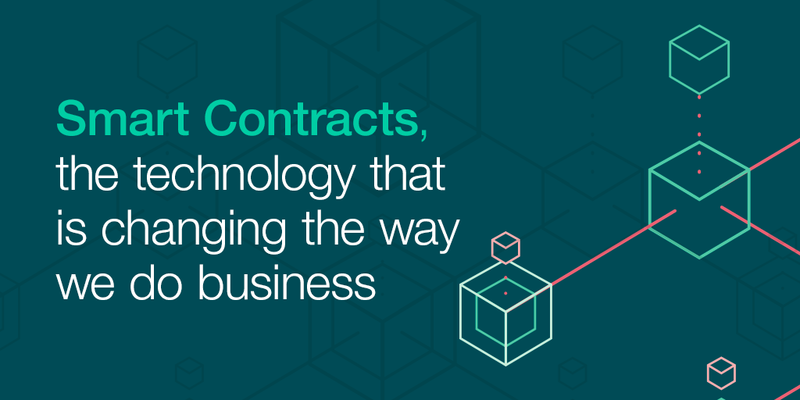 All smart contracts are recorded in the blockchain. This makes the interaction between people who do not know each other possible, without there being a risk of fraud. Smart contracts use software to automate tasks that would otherwise be done manually. Therefore, they increase the speed of business processes and are less prone to manual/human error. Since these smart contracts are based on the public blockchain, they cannot be lost. Everything is recorded immutably. Nothing and nobody can make it disappear and you always have access to it. The decentralized execution process eliminates the risk of manipulation, since the execution is managed automatically by the whole network instead of by a centralized body. "It is estimated that there are already about 12 million smart contracts in Ethereum alone, the best-suited blockchain platform for this type of operation." In our previous example we imagined a mini-contract in a simple vending machine, but there are many uses where we can apply this technology: escrow deposits, property rental agreements, purchase-sale contracts, etc. In fact, at Signaturit, in collaboration with DAS Spain, we have developed a service based on Smart Contracts, which will allow policies for non-payment of rent to be carried out in an automated and simplified way. 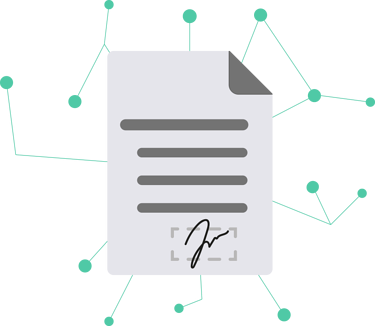 The Signaturit and DAS Spain Smart Contracts will automate and facilitate the payment of policies, the sending of notifications and the renewal of contracts, also offering traceability of all the actions carried out from the entry into force of a contract until its completion. Thus, the processes will be faster and more comfortable for both parties and the execution of the indemnifications will be carried out with greater speed and confidence. In this way, we will increase the security offered as compared to traditional contracts, while reducing the costs and time associated with this type of transaction. Although this technological product is seen here in lease policies, our medium-term objective is to ensure that all types of companies can take advantage of Blockchain's potential through the use of this type of contract. 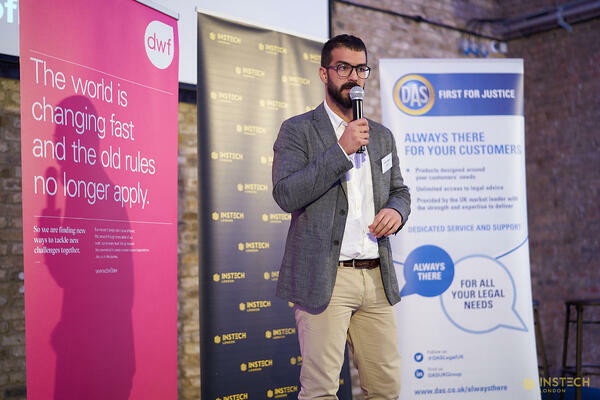 Last September 24, during the Confluence Of InsurTech, LawTech And PropTech international event in London, we presented our Smart Contract project with DAS Spain. The event explored how the developments of each sector - InsurTech, Proptech and LawTech - are influencing and affecting each other. Entrepreneurs, investors, professionals and the entire innovative community of the insurance sector were welcome at this event sponsored by DAS Spain and DWF. Photo: Juan Zamora, CEO at Signaturit, during the presentation. 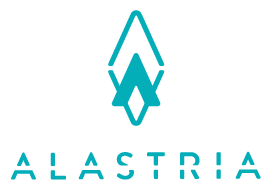 Some of the main Spanish banking, energy and telecommunication companies have created Alastria, the world's first regulated national network based on blockchain. A non-profit consortium whose objective is to develop this technology that will enable and accelerate the digital transformation of different sectors thanks to its agility, reliability, security and efficiency. Enter the list of participants include companies such as Telefónica, Santander, Bankia, CaixaBank, BBVA, Sabadell, Kutxabank, Repsol, Cepsa, Indra, Barceló Viajes and, now, Signaturit. "The potential to become the biggest breakthrough in history in the way we share digital elements, be it a document, a service, an entry for a show or money. " Alex Puig, CEO of the consortium. Although traditionally we have needed the parties to trust each other and third parties a priori to enforce contracts, the Blockchain technology makes it possible for them to be carried out automatically and safely, without third party interventions. Thanks to their low costs and the ability they have to secure any transaction, smart contracts allow new types of businesses, drastically improving the world around us. Achieving its widespread use in all industries will require the joint work of innovative companies and regulatory institutions. This will allow the development of the technological, operational and commercial conditions necessary to implement them in all areas and will have a direct impact on the welfare of consumers and users. 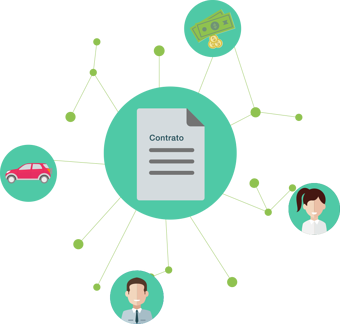 If you want to learn more about Blockchain and Smart Contracts and about the smart contract for the unpaid rent insurance that we have developed with DAS Spain, feel free to download the following use case.